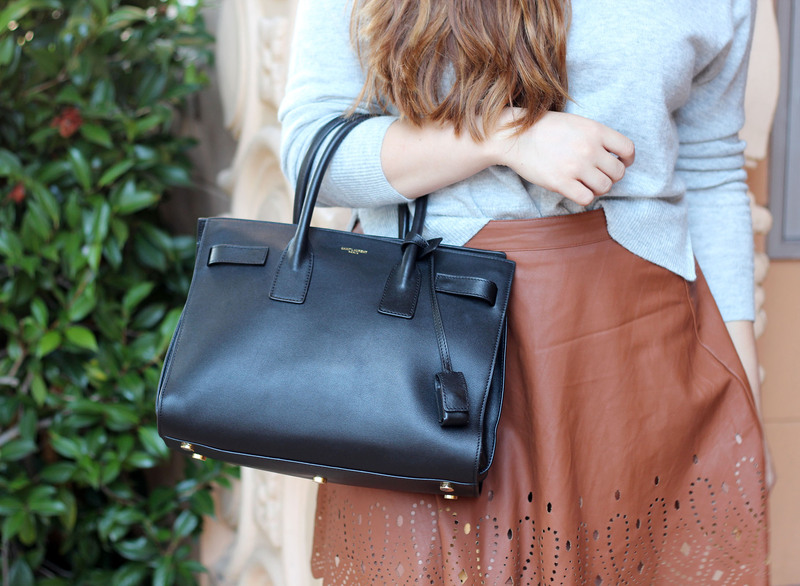 Even though it’s still August, I’m already dreaming of fall fashion. Don’t get me wrong, warm and breezy summer days are so wonderful, but living in San Francisco…we don’t really get to experience them that often! Because of this, I’ve had transitional dressing on my mind while I bridge the gap between summer and fall. One of my favorite ways to ease me into fall is the laser cut / burnout leather look. This skirt is substantially fall with its rich color and leather, but the cut out detail makes it carefree and casual enough for summer. Check out a few more of my favorite cut out leather pieces, perfect to take your wardrobe into fall! Everything is just so natural. You wear this look so well. Oh thank you, that means a lot to me to wear something naturally. Gotta love comfortable fashion! Lovely pieces – Comfortable and chic, what more could a girl want?